So Did Singapore Turn Gay After Adam Lambert Sang There?? 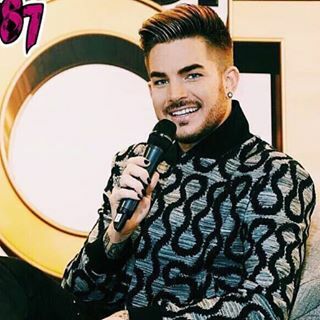 You are here: Home / More Featured Posts / So Did Singapore Turn Gay After Adam Lambert Sang There?? Below is a great way to start the new year off. It’s a wonderfully humorous take on all the controversy that began after it was announced that Adam Lambert would be headlining the Celebrate 2016 New Year’s Eve show in Singapore. It originally appeared in newnation – 50% real news on the morning after the show. I have nothing to add but my loud giggles!! They should have heeded the warning of highly religious Singaporeans. The entire nation of Singapore turned gay on Dec. 31, 2015, mere minutes before the arrival of the new 2016 year. This after Singaporeans from all walks of life watched renowned American gay singer Adam Lambert perform live for the Celebrate 2016 countdown show, which was broadcast on national television. As a result of witnessing the event, all Singaporeans have become gay immediately. Singaporeans who witnessed the transformation of their own sexual orientation attributed the changes to Adam Lambert’s dress sense and dance moves. If everyone who was at Adam Lamberts concert in Singapore turns gay because they were there, than they are leaving the concert a better person full of love, kindness, and listened to an angelic voice. When are people going to stop with the sexual orientation and just enjoy a remarkable talent . Gay or straight , the best voice ever !!! I agree. But I got a kick out of the joke they made about turning people gay, like that could happen. I saw some of these tweets/articles and it’s hilarious! It just shows how ridiculous the protesting is.